Emoticons are one of the most useful ways to convey meaning in your messages without using words. However, there are moments when we want to use a certain emoticon that it is not available. Thanks to our top 5 of apps for creating emoticons, you won’t have to face this problem anymore. Check out our list of apps for Android and iOS and share with us if you know some other alternatives. 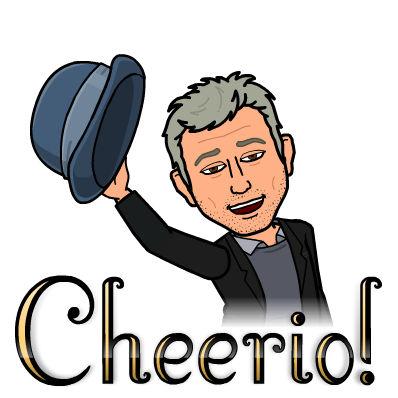 Bitmoji is available in Android and iOS for free. It is integrated to the popular Snapchat message service and it lets you create your own avatar and then a set of emojis inspired in your own character. You can share them on other messaging platforms and also on your social media accounts. With EmojiFace you can easily transform your own face into various emojis, using the overlay system of your face or body and emoji effects. 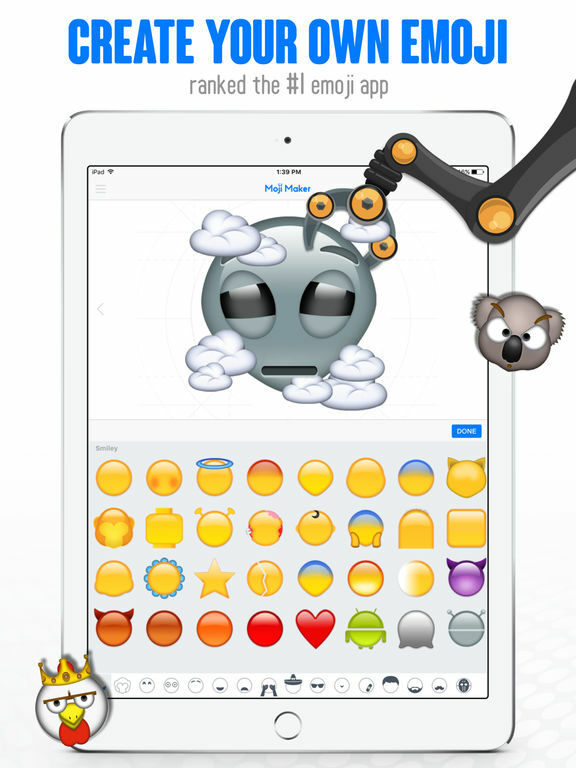 The interface is very simple and friendly, making it easy for you to create emojis with your own pictures. Another app that is exclusive for iOS. 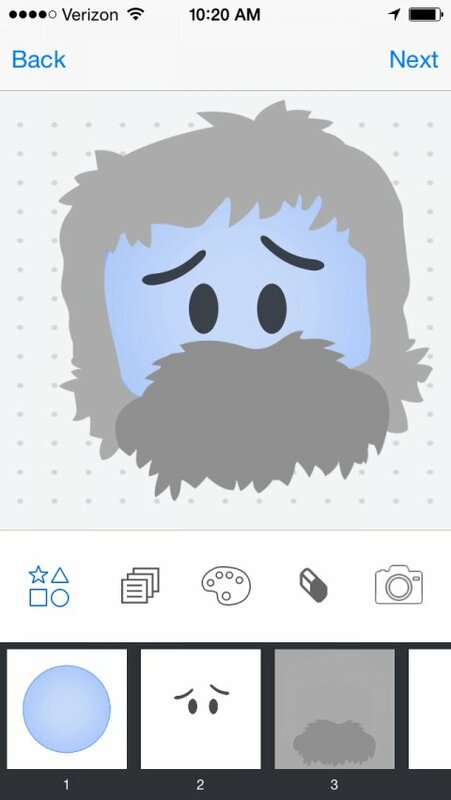 Makemoji lets you create your own emoji by adding up layers above a template previously chosen. You can add different details to your emoji by sliding elements and choosing certain aspects fully customizable. The most interesting feature of the app is the editing method, allowing users to intuitively add layers to create fully personal emojis. The app is considered the easiest one on iOS for creating emojis. It only costs 1 dollar and it allows you to create fully customizable emojis with different sizes and details. You can easily choose between different sets of eyes, mouths and other details to create an emoji for each feeling or situation you seem fit. The app comes with thousands of emojis already loaded. You can edit them in order to make your own variations. 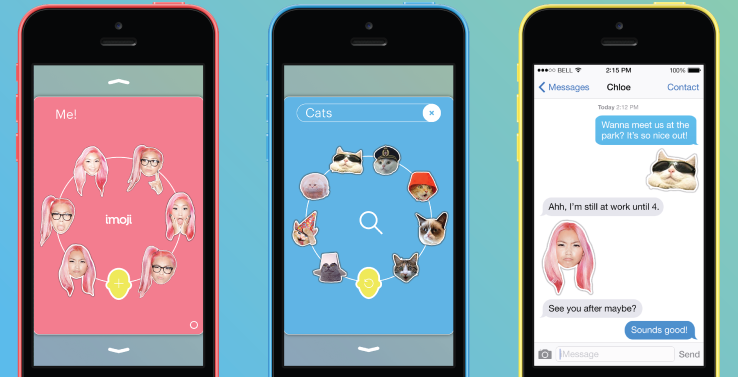 Imoji allows you to share your creations on messaging platforms and social media platforms. It is compatible with SMS, WhatsApp, Facebook Messenger, Snapchat, Twitter and all the most popular apps on the web. This entry was posted in Emoticons and tagged Andriod Apps, Bitmoji, EmojiFace, Imoji, iOS apps, Makemoji, Moji Maker by Juan Martínez (Google+). Bookmark the permalink.